I made up a series of patterns featuring square outlines. These were really fun to play around with. Key: Red squares indicate U3. 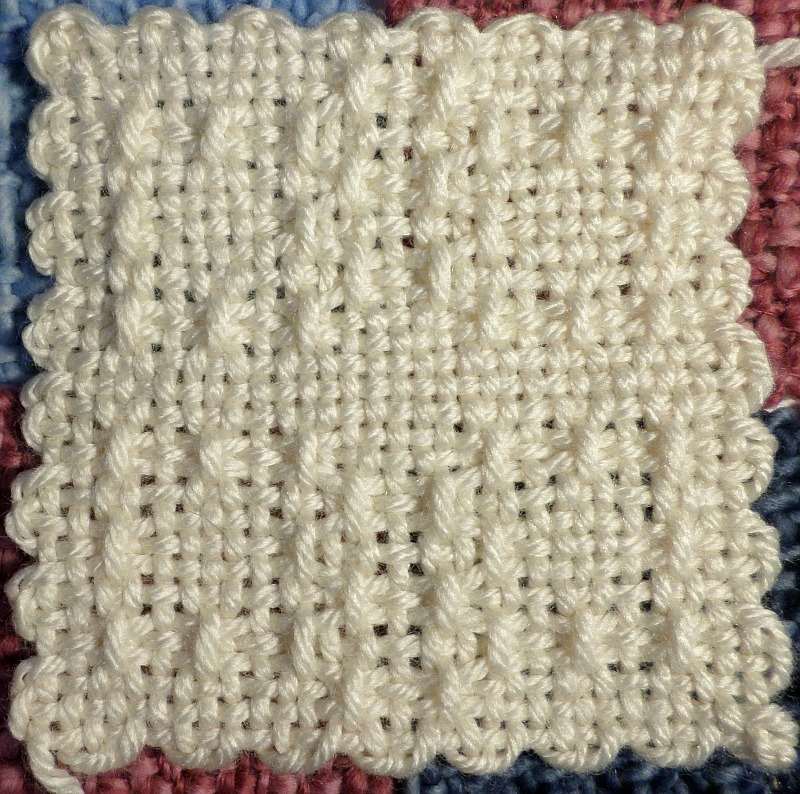 Otherwise plain weave.